Does anyone own an original Canadian MK II Camo with unit decal? If yes, could you please post pictures of it. Thank you. Here is an unusual camo with a painted decal. I can't recall who owns it , or what the synopsis was on it's originality. It looks darn cool though. mk1rceme wrote: Here is an unusual camo with a painted decal. I can't recall who owns it , or what the synopsis was on it's originality. It looks darn cool though. Thats a very interesting helmet. It looks like the oversprayed the helmet while it had a net on it. Or maybe the colour just faded that way from having a net on it (but I expect not)? Very cool Seaforth item. 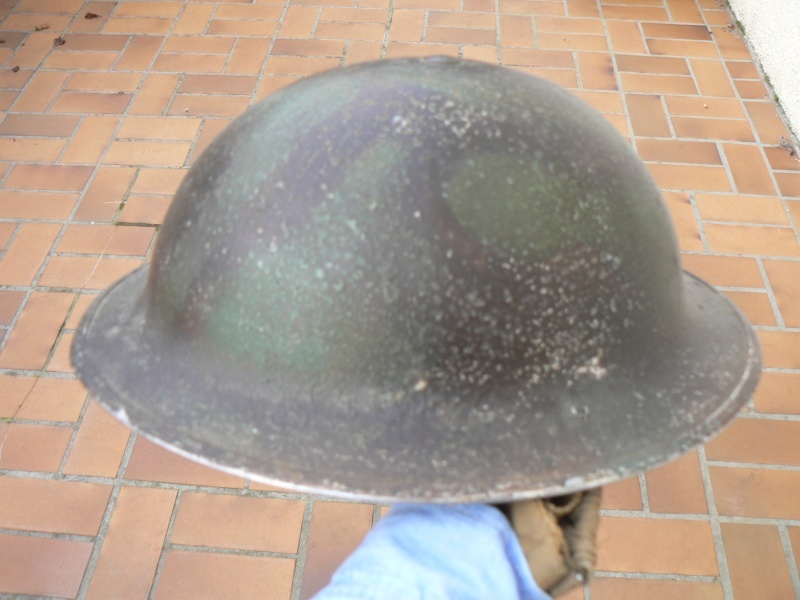 This one was just offered to me and is reported to belong to the Saskatoon Light Infantry from the Italian campaign. I have only seen this single picture and am awaiting better ones including an interior. Apparently the soldiers number is painted inside? If it turns out to be good, I may add it my collection and will post better pictures for your enjoyment. I have posted more pictures of this helmet in a seperate post, but am adding one here as it fits the theme. I have more pics of this one if you want to get a better overall look at it. Will you please post the other pics. I would love to see them. PS: Do you know the owner of this helmet? It is a great piece. I'll snoop around on there and see if I can locate the post again. Maybe Jeff or Cliff saw it on there as well. I like this helmet but I'm not quite certain about it. To me, it looks contrived but I don't claim to be an expert on helmets. The red and blue tints made me wonder though. If posted anywhere else it was without my knowledge or consent. There can be no claim of mystery from whence the pics came, unless they are being circulated. After researching a great deal, I think is 100% original from a thrice wounded Canadian combat vet from the Italian theatre. For $90 I couldn't make a mistake I have the auction saved for reference. Hello and welcome Hambone! I remember you from MCF in the "better" days...if there was such a time. When I used to collect Third Reich I learned a lot by just reading your posts. I don't really dabble in the dark side anymore but I still have a small collection of items left. I'm still stumped on where I got these from. 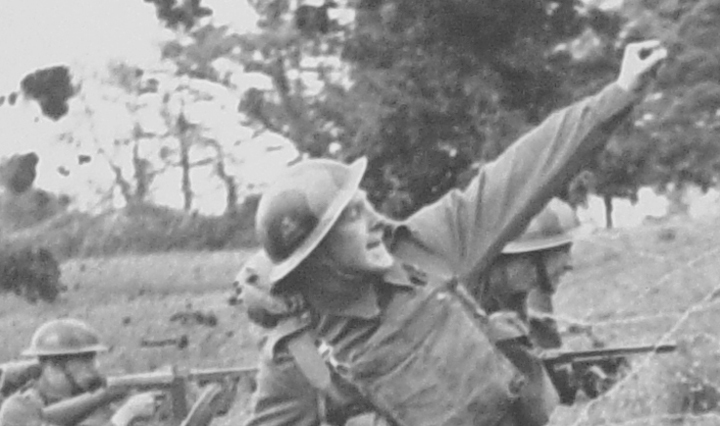 I may have seen them in a thread about WWII helmet camouflage on a kiwi collectors forum...Just a guess though. Since I am a camo collector I have accumulated a large photo reference over the years...but by all means, if you want them removed, I will remove them. Congratulations for owning such a great looking helmet. Recognized the screen name. 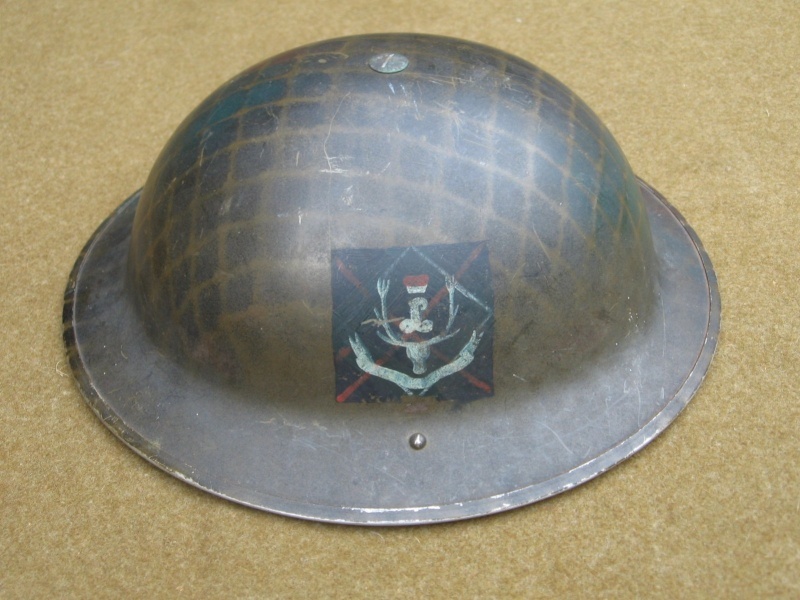 MCF served a valuable purpose in showing the inherent (and concealed and latent) problems at another place, and resulted in the formation of the only other real worthwhile German helmet forum on the net, but beyond that there were, uh, problems at that top so to speak Glad to see another Commonwealth forum. If these showed up at MCF it wasn't me as I've been long gone and never went back even after invitation of "new management". I think it's now deceased completely. "Officially, the regimental cap badge is described in General Order No. 111 of 1923 as: "In silver, a stag's head, with the letter 'L' and a coronet, set between the antlers, the whole resting on a scroll bearing the Gaelic motto 'CUIDICH'N RIGH'." . . . The hat badge supplied to the unit before and during the war did not conform to that worn by the affiliated regiment, and despite unending correspondence over a decade, the Seaforths were unable to have the badge they wanted issued to them. Consequently, the Seaforths had their badges privately manufactured to ensure its conformity with the "imperial" Seaforths." Good to see you again and glad to find another good Canadian/Commonwealth forum! "Since I am a camo collector I have accumulated a large photo reference over the years...but by all means, if you want them removed, I will remove them." Dale, thanks for expressing that but no need. I'm here to learn like everyone else and if my pics assist that, then great. My only issue would be no back story or information as developed on the thread linked came over with the helmet. 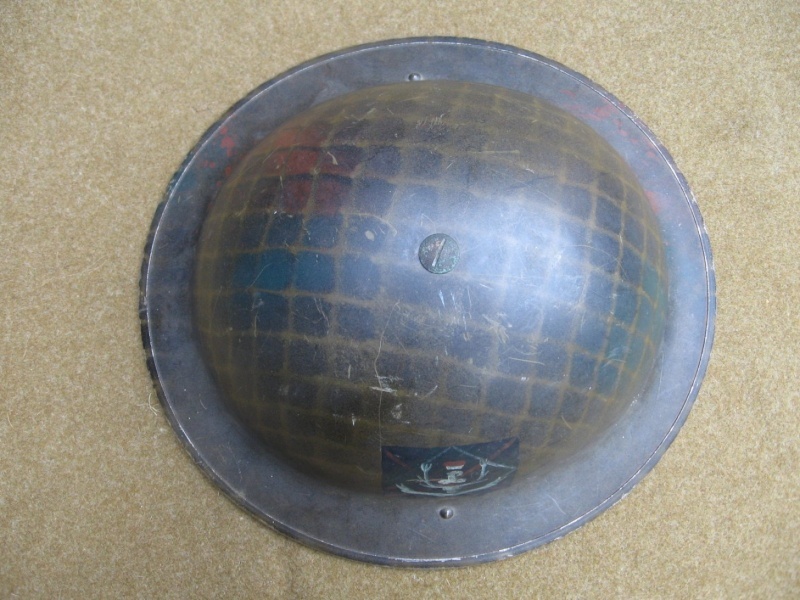 The historical information, research, and even the circumstances of the purchase, are pretty significant, IMHO, to a discussion of the helmet. Wounded: 5 Aug. 43 - July 1943 in Operation Husky, the invasion of Sicily. The beach landing was relatively uneventful but the Seaforths would soon see hard battles as they fought veteran German units for hilltop town after hilltop town through Valguarnera, Leonforte, Nissoria, Agira and Reegalbuto, to Adrano. Wounded: 17 Dec. 43 - From December 6 to 22 the 1st Division advanced only 6 km from the Moro River to the edge of a small town named Ortona. Wounded while attacking through an olive grove while riding/dismounting from Sherman tanks. Wounded: 4 Apr. 44 - Crecchio area of Italy in Ortona area doing patrolling. Enemy - German 755th Regt., 334th Division. Hi Hambone, Seems like we all migrate around the net to sites of similar interest. Your analysis, that the badge painted on the helmet was the official, authorized badge is correct. The Seaforth's had a very difficult time with badge approvals. Yep, Bill, the collecting community is rather small, relatively speaking. I've always had a great deal of interest in Canadian/Commonwealth WW2. I've got MkI, II, and III helmets. 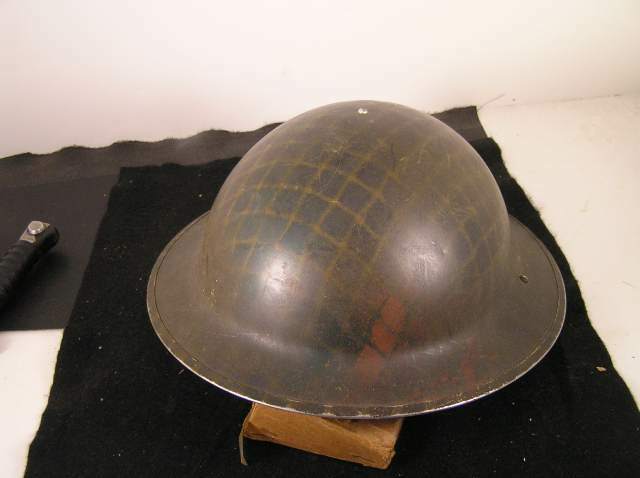 Finding an original camoflaged WW2 MkII is tougher than finding a German camoflaged helmet, IMHO. I believe this is due to the huge numbers of MkIIs that were recycled and used after WW2, and particularly sold to other countries, such as Pakistan, India, Israel, etc. 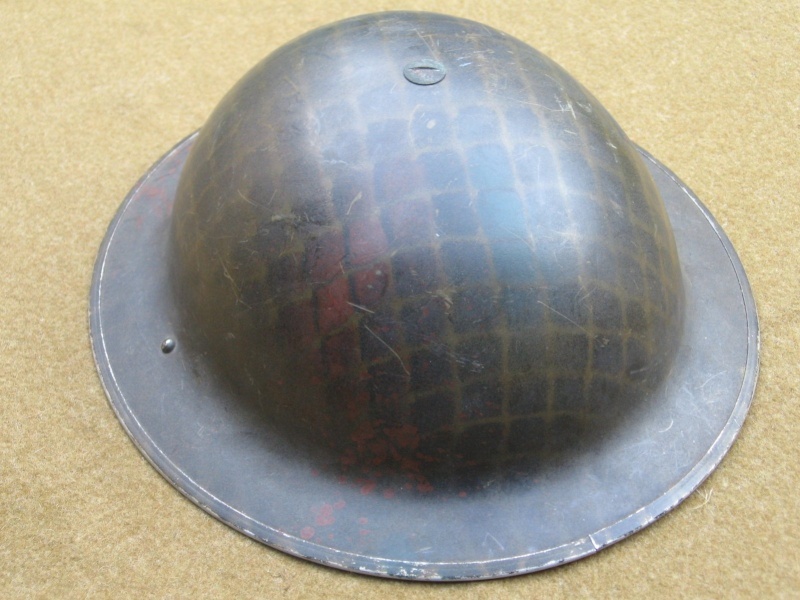 No one was bringing MkIIs home in their original trim as "war souvenirs" like German helmets. Same goes for US M1 helmets. 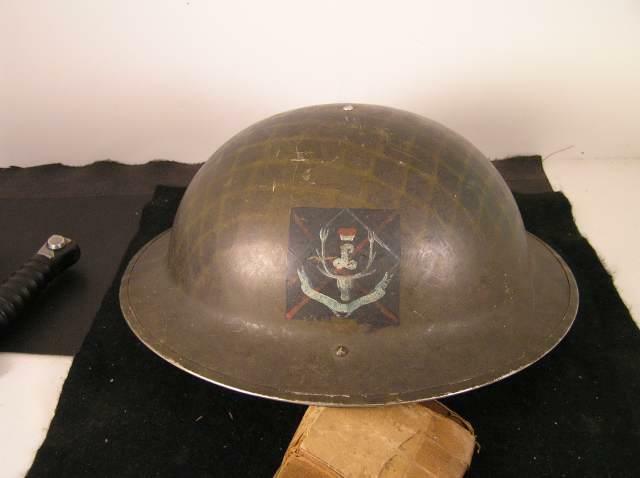 This Seaforth helmet is more signficant to me than any number of German helmets I have that I paid over 10x the price for. 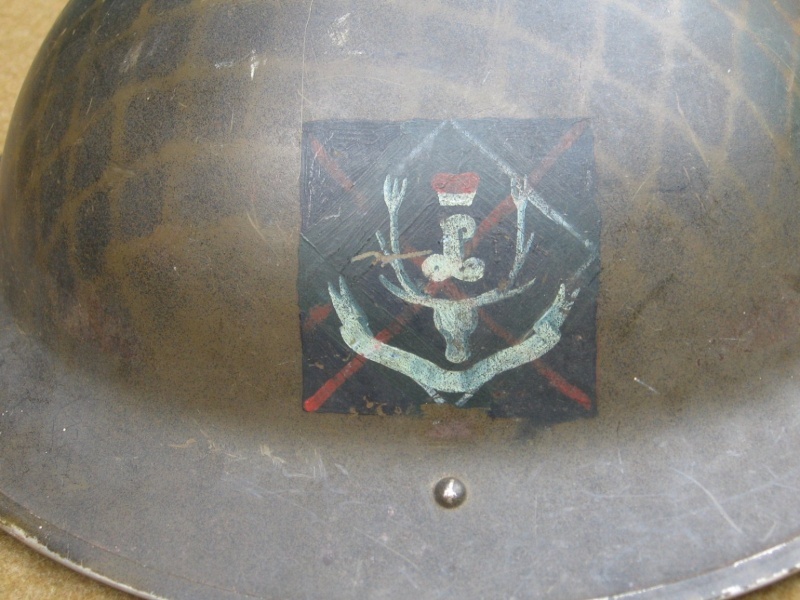 I'm reading up on the Seaforths in Italy and it really personalizes the helmet. 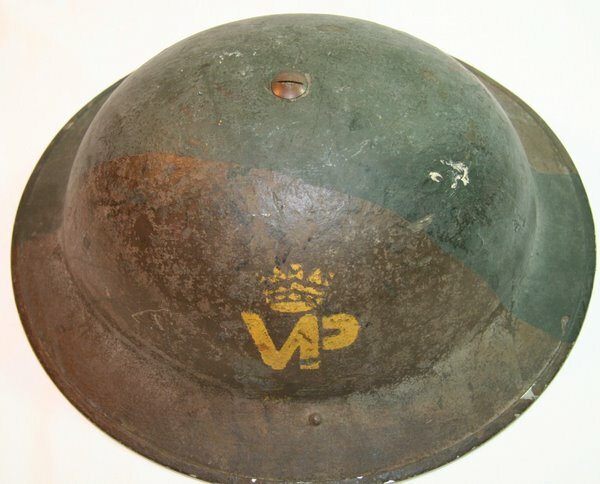 I am reading of the very actions, days, and events where this helmet was, with Pte. Pike. 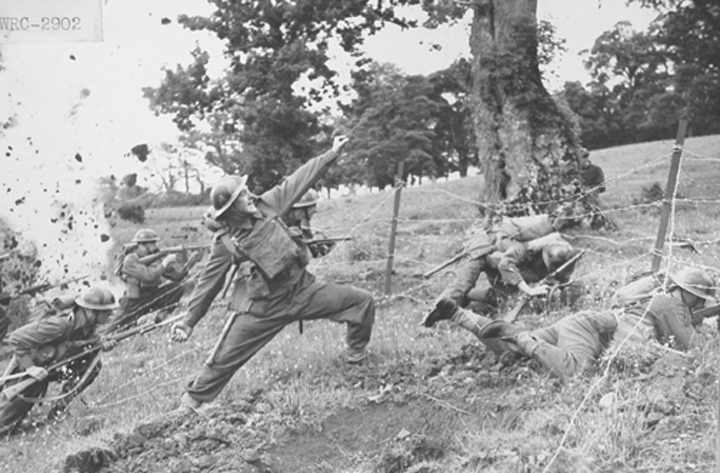 Good stuff, very brave and hard fighting men who took an inordinate amount of casualties and faced down the Germans in Italy, which was, IMHO, some of the toughest fighting in WW2.